The new Flyback Chronograph boasts an 18 k rose gold case that houses a column-wheel mecha- nism, ensuring both precision and ease of use. The vintage character of the timepiece gets an elegant contemporary twist thanks to black and red accents and a kudu-leather strap. 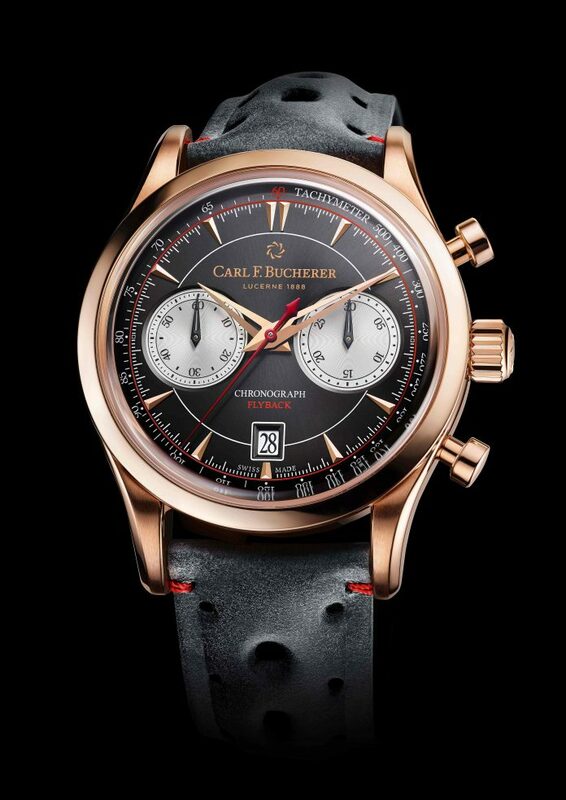 Taking design cues from Carl F. Bucherer models from the 1960s and 1970s, the timepiece captures the spirit of these bygone eras. The smooth curves of the 43 mm case in 18 k rose gold have been inspired by the watches of those decades, as have the timepiece’s other carefully considered design elements: convex sapphire crystal, strik- ing mushroom push buttons, perforated rose gold-colored lancet-shaped hands, and wedge-shaped applied indices.